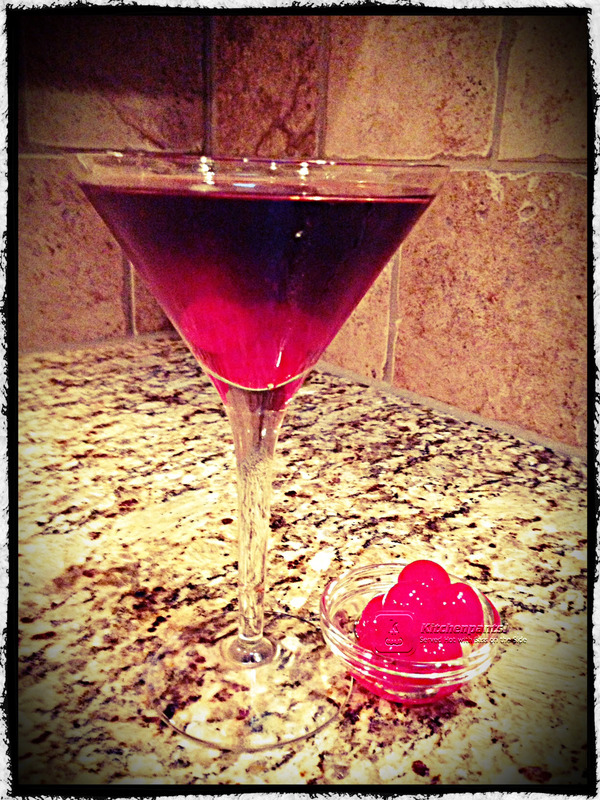 Cherry Coke Martini | Kitchenpants! The moment that someone walks into your life is always memorable. The moment that the right and best someone walks into your life is precious. Steel Magnolias is my very favorite movie ever of all time (yes, I said “ever of all time”. I do that. I also do “absolutely 100%”. These are just Ali-isms). I don’t even quote it anymore because for me, it’s gotten beyond that: the vernacular, expressions, and sentiments from Steel Magnolias are too closely woven into my existence. Relationship issue? My advice will likely begin with: “Men are the most horrible creatures, honey. They will ruin your life!” (Women, too, I know…) Close to me? I love you like my luggage! If I screw something up, it’s “a little poufier than I would normally do, but I’m nervous.” I regularly will tell you “I thank way shuld pray!” and you better reply “Aw, I’d rather eat dirt!” To know me is to know Steel Magnolias. Precious. This here is the best…well, you get it. Fill the shaker 1/3 of the way full with ice. Let sit for a few seconds. Add the vodka and cherry juice to the shaker. If the Coke is a little flat, you can add it to the shaker. If it’s not, then you might want to wait and add it after. Shake the contents of the shaker for 10 seconds or so. Empty into a martini glass. If you omitted the Coke from the shaker, add it now and stir lightly. Place 2-3 cherries in the bottom. Sounds great, nice take on a martini! Definitely trying it! Thank you! I hope you enjoy it! Love your blog!